This is an original Civil War era CDV image of William Sprague (1830-1915). Sprague lived a life fit for novels. His father, a rich mill owner, was murdered when the boy was just 13. William inherited the family fortune at age 26. Elected governor of Rhode Island in 1859, he was among the first to respond to Lincoln's call for troops. He fought valiantly in the Battle of Bull Run. Sprague resigned as governor in 1863 to become a U.S. senator. That same year, he married beautiful Kate Chase, daughter of Secretary of the Treasury (later Chief Justice) Salmon P. Chase. Sprague's life seemed charmed. It did not last. The "Panic of 1873" wiped out his family's wealth, and his marriage ended in divorce after Kate's notorious affair with New York Senator Roscoe Conkling. Sprague eventually remarried and retired to his beloved Rhode Island estate, Canonchet. In 1909, an elderly Sprague, the "last of the Civil War governors," watched Canonchet burn to the ground. He spent his final years in Paris, where he died on September 11, 1915. These CDV images were an important part of history from the Civil War era. It was the first practical way to bring images of a famous personality home to the regular people. The people wanted to be able to put a face with the names they read about in the newspapers. You could order through newspaper ads or at local photography studios, several images of famous personalities for a reasonable amount. The CDV images were made by applying a thin paper photo image of the famous person of the day to a heavier paper card. This made the image more durable and easier to display and also added uniformity to the size. The overall size of a CDV image is approximately 2.5 inches by 4 inches in size. 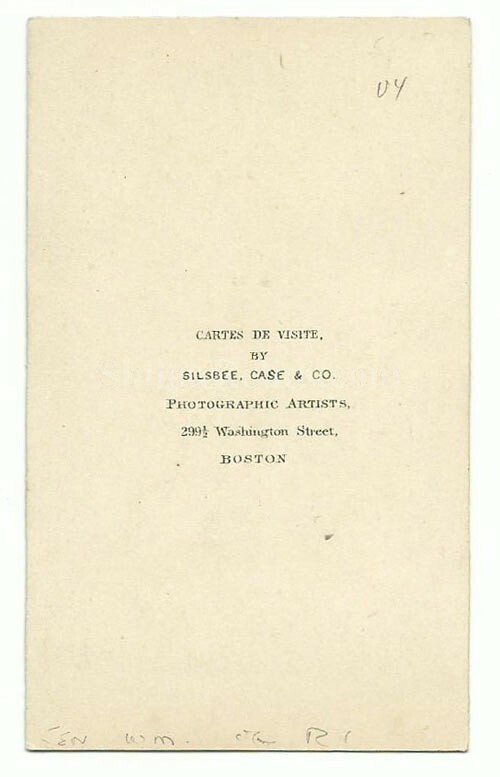 On the back of the card it has the Boston, Massachusetts photographer Mark of the Silsbee, Case & Co. photography studio. 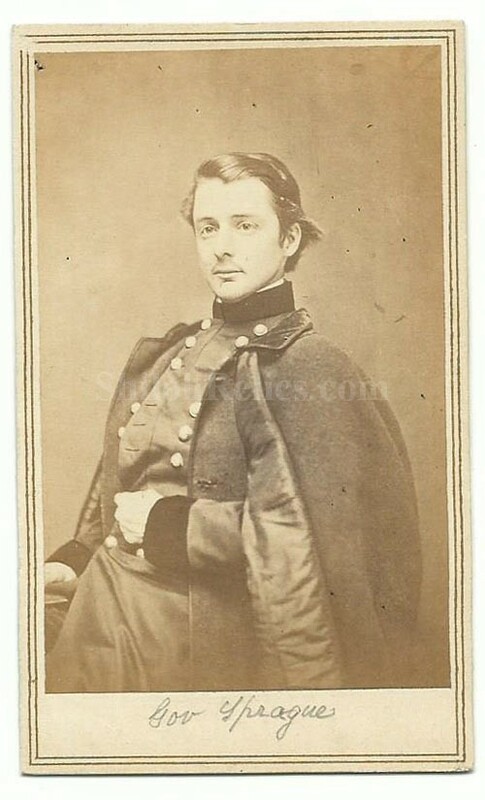 This is a solid original Civil War Union CDV image.